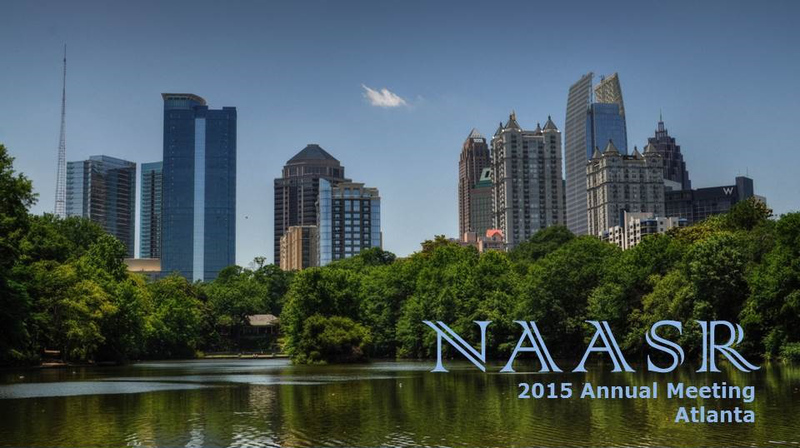 NAASR’s 2015 program, which will take place in Atlanta, GA (with most panels on either Friday November 20 or Saturday November 21—though scheduling is still to take place), is intended to create opportunities for specialists from across our field, all of whom are at a variety of different career stages, to investigate what it means to “do theory” in the study of religion today. For although the terms “method and theory” can now be found in course titles, curricula/degree requirements, area/comprehensive exams, and listed as competencies on the C.V’s of scholars from across a wide array of subfields, and while a variety of groups at annual scholarly conferences now regularly itemize theorizing among the topics that they examine and carry out, it seems that few of the many examples of doing theory today involve either meta-reflection on the practical conditions of the field or rigorously explanatory studies of religion’s cause(s) or function(s). So, despite the appearance of tremendous advances in the field since NAASR’s founding 30 years ago as the lone place for carrying out theory in the study of religion, it can be argued that little has changed, for the term theory is today so widely understood as to make it coterminous with virtually all forms of scholarship on religion. Spending some time re-examining just what we ought to consider theory to signify therefore seems to be a worthwhile focus for our annual meeting. The program is divided into two parts: 1) four main, substantive papers (each of which will be pre-circulated to NAASR members by October 1), examining what it means to “do theory” in the academic study of religion today, that will be summarized briefly at a session devoted solely to one main paper, followed by three brief invited responses and then an extended discussion with all attendees. All four sessions will be chaired by NAASR’s Vice-President, Aaron Hughes, who will also edit the book (to be published with Equinox Publishers) in which the 2015 program’s content will appear; and 2) the traditional Presidential Panel, chaired by NAASR President, Russell McCutcheon (described below) but featuring papers by two other scholars. Note: There will be a meeting of the NAASR Executive Council on the Friday morning prior to the first session & the business meeting will take place roughly at noon on the Saturday. More details will be announced once the schedule and room booking has been finalized. According to some, theory ensures the integrity of religious studies as an academic discipline: it is the development and application of theory to explain religion that distinguishes critical scholarship from the apologetics of theology (and, allegedly, the covert apologetics of phenomenology of religion). I acknowledge the necessity of theoretically-grounded explanation of religion, not as a levy to be paid for entrance into the academy or the public university, but as an essential dimension of the task of analyzing the collection of phenomena that we, for better or worse, call religion. Theories are, in short, a good thing. Acknowledging the necessity of theory, however, does not tell us when and how theory should be deployed. I argue that just as theory should be deployed in the task of explaining religion (briefly: identifying the causes, origins, and/or functions of religion), it should be withheld in the task of interpreting religion (briefly: identifying the meaning of religion for the religious subject). If, as many have argued, it is true that interpretation entails explanation, then understanding the religious subject’s perspective on, or experience of, religion necessarily means unearthing his explanation of religion. And if this is true, then the interpolation of the scholar’s own explanatory theory as an interpretive tool almost certainly obscures or eisegetically reshapes the subject’s perspective; in other words, it corrupts the data. Theory must be restrained in the interpretive phase of the analysis of religion, or else the scholar risks losing the very phenomenon she seeks to study. The legitimacy and integrity of research in religious studies therefore rests not only on the proper application of theory, but on the proper restraint of it as well. Over the past decade or so there has been an exponential growth in research in the Cognitive Science of Religion (CSR). Yet despite this, there continues to be a lack of understanding, and sometimes blatant misunderstanding, about what characterizes the field. This state of affairs is due, in part, to the reluctance of those within the field to commit to a precise definition. CSR is a broad in scope. It is also a relatively young academic approach to the study of religion and consequentially, is ever-expanding and often in a state of flux. Scholars have often characterized CSR by what it is not rather than what it is. In this paper, I argue that at heart of CSR is a theory that human cognition is necessary (but not sufficient) to explain the presence, persistence and prevalence of human ideas and behaviors deemed “religious.” It is thus distinguished from its often-atheoretical academic counterparts in the study of religion because of the attempt to explain, rather than describe, religion and because of the centrality of the role of the human mind in this explanation. Finally, I demonstrate the fruitfulness of this theory by presenting selected case studies of what CSR has actually explained since its inception. The chief glory of the Study of Religion is its theoretical eclecticism. As a field it should resist programmatic theoretical approaches. Its use and development of theory should be driven by specific questions that arise in particular studies of religious phenomena. Metatheoretical reflection should generally be closely tethered to works of first-order scholarship. The use of Robert Brandom’s analysis of existential commitments to illuminate so-called narrative theology illustrates these claims and bears implications for the cognitive science of religion. Something struck me in my shift from the disciplinary training of my Ph.D—literary theory—to the discipline in which I now teach and write—religious studies. When I was working through my graduate studies and developing a research specialization in postcolonial and feminist theories, it seemed common knowledge that the only way to engage in a serious consideration of power dynamics and the ways in which race, gender, sexuality, capital, and other identifications intersect with those dynamics was to utilize “critical theory.” Specifically, what that moniker referred to—and what I still take it to mean in my own work—is a brand of inquiry following from Frankfurt School analysis that invites structural social critique rather than phenomenological or explanatory description. Where my own locus of identity studies and literary theory were concerned, this meant taking seriously the post-structuralist tools operationalized in the late 1960s and refusing to take for granted a natural or obvious relationship between the labels or concepts we use and what we take them to mean. What now seems to dominate identity studies in the academic study of religion, however, is that very explanatory description from which critical theorists have tried to turn away. In so many cases, scholars seem to suggest that a serious engagement of power dynamics and identity is, in fact, predicated upon a rejection of post-structuralist critique so as to take stock of “lived experiences” of marginalized groups. What accounts for this inversion, I suggest, is the relationship between scholars and their object of study. It is this relationship that I aim to explore in my paper. In consultation with the program committee and Craig Martin (NAASR Executive Secretary/Treasurer), Russell McCutcheon has invited Greg Johnson (University of Colorado – Boulder) and Leslie Dorrough Smith (Avila University) to address us concerning where NAASR has been and what, at this particular moment, ought to be our focus when trying to continue pressing the field in novel, rigorous, and interesting directions. As preparation for this particular panel all attendees will be asked to have already read Don Wiebe and Luther Martin’s co-written but as yet unpublished essay on NAASR’s history (posted as a PDF on the NAASR website’s “About” page). It is not apparent that all members necessarily know the ground covered by NAASR but it is also not necessarily apparent that past is always prologue. (Don and Luther’s paper was written after NAASR hit the 20 year mark and we are now, in 2015, hitting our 30th.) So we’re inviting Greg (himself a former Department Chair, a former member of NAASR’s exec council, and the current Program Unit Director for the American Academy of Religion) and Leslie (a grad of the UC Santa Barbara, in the study of religion, who also directs Women’s & Gender Studies on her campus and who works on religion in the US, with an eye toward studying scholars as well) to help us think through where the cutting edges may now be in the field. This session will take place after our other 2015 panels and will surely dovetail nicely with their topics. Greg’s and Leslie’s papers will be presented in person (i.e., not pre-distributed), but we aim for only an hour of presentations at this session (up to 30 min each for their papers) reserving at least an hour of open conversation, to ensure that all attendees at all of our panels get a chance to voice their thoughts as well—which will assist the program committee to conceptualize the shape of our 2016 sessions. Panel: When Is The Big Tent Too Big? This NAASR panel is co-sponsored with the Metacriticism of Biblical Scholarship Program Unit of the Society for Biblcial Literature. What are the strengths and weaknesses of the “big tent” philosophy that governs much of the disciplines of religious studies and biblical studies as represented in many academic societies, the publishing industry, and many colleges and universities? This “big tent” mixes etic and methodological naturalist perspectives with emic, confessional, and theological approaches to religion along with opportunities for interfaith dialogue. This panel addresses the impact the Big Tent has on the secular study of religion and sacred texts and its status within the large world of secular disciplines of the humanities and social sciences. This entry was posted in Announcements, Theory and Method and tagged Aaron Hughes, American Academy of Religion, Brad Stoddard, Claire White, cognitive science of religion, Craig Martin, Dennis LoRusso, Don Wiebe, Ed Silver, Greg Johnson, Ipsita Chatterjea, Jason N. Blum, Jason Slone, Leslie Dorrough Smith, Luther Martin, Martha Smith Roberts, Matt Bagger, Matt Sheedy, Merinda Simmons, Metacriticism of Biblical Scholarship, Michael Altman, Monica Miller, NAASR, Pat McCullough, Rebekka King, Richard Newton, Robert Brandom, Robyn Walsh, Russell McCutcheon, Sarah Rollens, SBL, Stephen Young, Tara Baldrick-Morrone, Thomas Whitley. Bookmark the permalink.